Ms. Shade will lead R. O. Anderson’s efforts to provide environmental planning, surveying and consulting civil engineering services to the greater Tahoe basin. MINDEN, NEVADA, August 3rd, 2011 – R.O. Anderson Engineering, Inc. is proud to announce that Ms. Coleen Shade, AICP, LEED AP has joined the firm as Principal Planner. R.O. Anderson provides civil engineering, planning and surveying consulting services with offices in Minden, Nevada and a new office located in South Lake Tahoe, California that is scheduled to open September 9th, 2011. Robert O. Anderson, P.E., President and CEO of R.O. 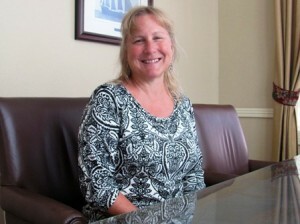 Anderson Engineering, Inc. said that “We are very excited that Coleen has decided to join our firm. Her breadth and depth of experience in the Tahoe basin, coupled with her experience in rural community planning, will provide significant benefits our clients”. Ms. Shade joins the firm with more than 22 years of experience in environmental planning. For 18 years, Ms. Shade worked for the Tahoe Regional Planning Agency, and held several key positions during her tenure including Long Range Planning Manager. She has proven experience in comprehensive planning (general plans and master) regional planning, sustainability and climate action planning, interdisciplinary project management and public outreach and engagement. She has worked in both the public and private sector, with a particular focus on rural community planning. Ms. Shade has a Master’s Degree in Environmental Education, and Bachelor of Science in Natural Resource Planning. She is member of the American Institute of Certified Planners and is a LEED Accredited Professional. She is a board member of the Tahoe Rim Trail Association and the South Lake Tahoe Education Foundation. She is also a member of the Lake Tahoe Green Business Cooperative. She has been a resident of South Lake Tahoe for 22 years, and is married with two teenage daughters. Ms. Shade will be responsible for directing and overseeing the firms activities within the greater Tahoe Basin from the firm’s new office located at 595 Tahoe Keys Boulevard, Suite A-2, South Lake Tahoe, California. In her position of Principal Planner, she will be active in providing comprehensive planning and environmental planning consulting services to all of our clients, particularly those within the Tahoe Basin and other rural communities throughout the Sierra Nevada Region. About R.O. Anderson Engineering, Inc.
R.O. Anderson Engineering, Inc. is an award winning, multi-disciplinary consulting firm with a service offering which includes civil engineering, land surveying, land use planning, grant writing and administration, hydrology & hydraulics, landscape architecture, residential design, water resources and information technology. Founded in 1989, R.O. Anderson Engineering, Inc. strives to provide creative, cost effective solutions. The firm specializes in providing consulting services to clients located in Northern Nevada, Eastern California and the greater Tahoe Basin.